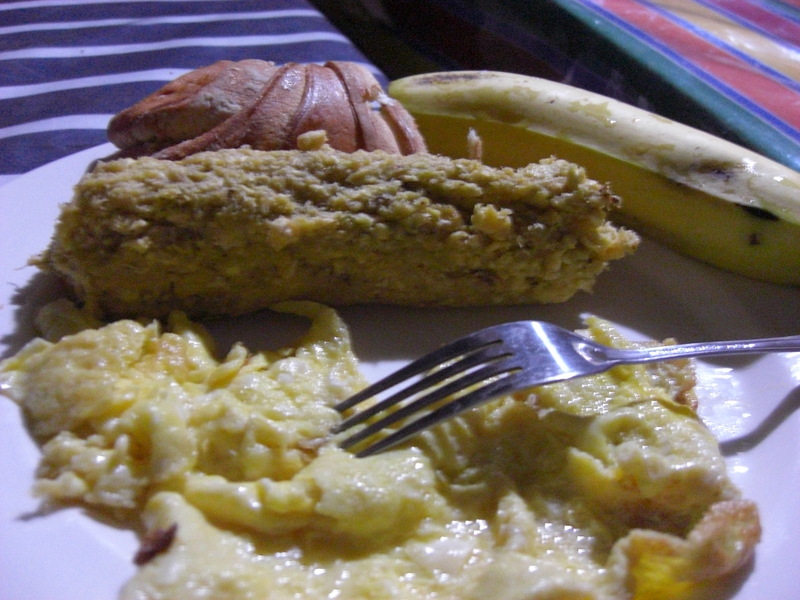 Breakfast almost always involves platanos verde (green plantains). And no matter how they are cooked, I still do not like them. Mashed and fried with cheese, cut and fried like chips, boiled…I will be fine with never seeing a green plantain again. This looks like a good day for food. “The log” in the middle is the green plantain I’m talking about. We are definitely lacking nutrition here. We eat very few vegetables, mostly rice, noodles, potatoes, yucca and, like I said, green plantains (mind you, these are not the sweet ripe plantains that you may be thinking about. these have no taste!) occasionally we get a good soup, an egg or some meat though. those are good days! Needless to say, I’m glad we are moving on to China soon. 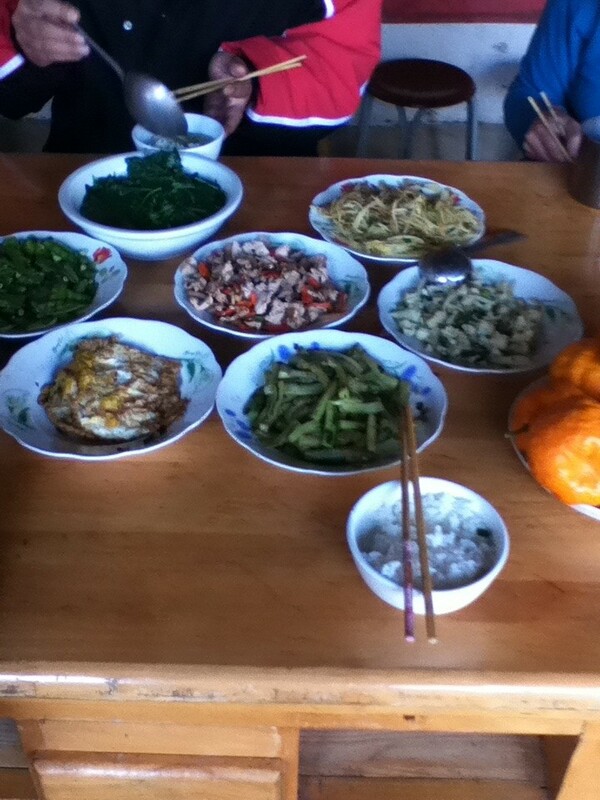 Breakfast in Shangqing. Rice, greens, eggs with tomato, broad beans, pork, taro, etc. you are. In the village our typical breakfast consisted of rice, veggies and meat (as pictured) but in Kunming most people eat bowls of noodles for breakfast. We sat around a table with bowls of meat and veggies in the center and everyone reached in with chopsticks. I started eating rather quickly, which I don’t like and don’t understand why, since using chopsticks is a lot more difficult than a fork. Still, I liked this communal way of eating. And of course, lots of green tea. 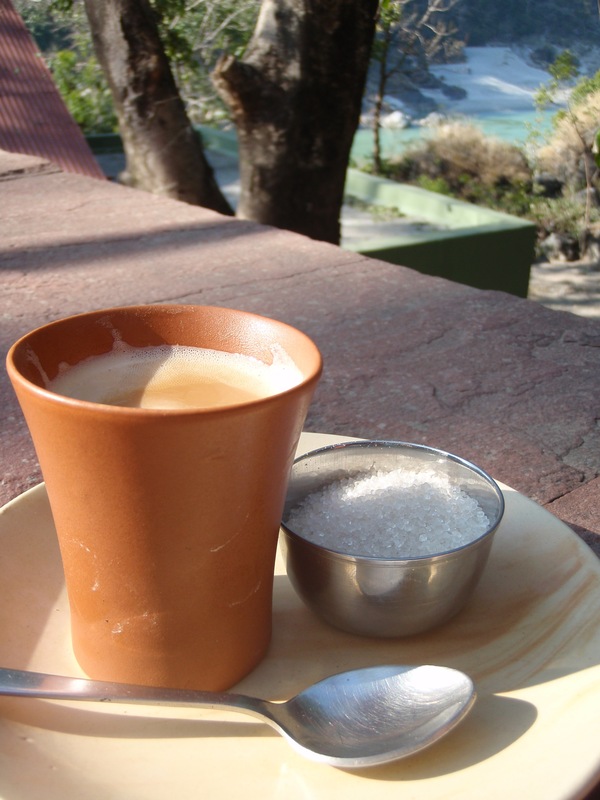 Sipping chai along the Ganges River. As much as I enjoyed chai, three to four times a day, it’s still not a replacement for coffee. However, it’s a pretty close second. 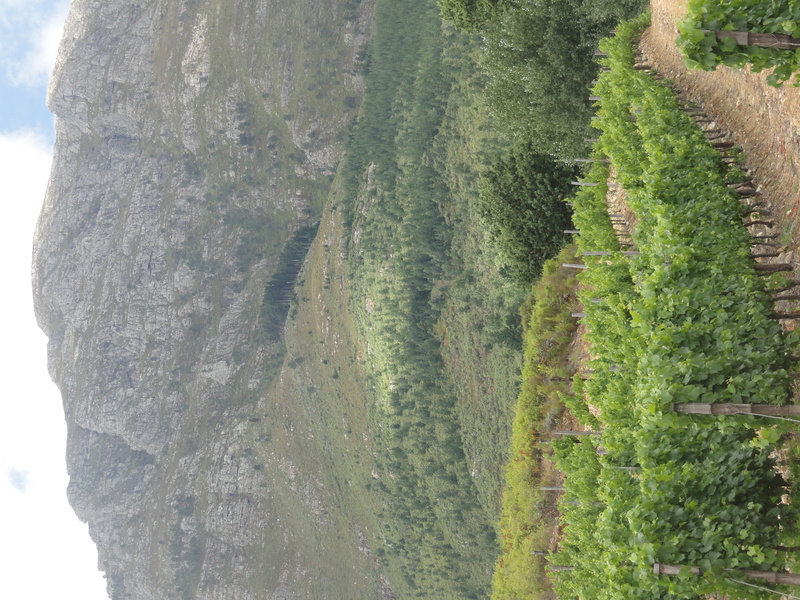 Wine Tasting: I’m no expert, especially after my 12th tasting at the third vineyard on our wine tour in Stellenbosch, but I do know the farms were incredibly beautiful. I tried a Pinotage (South African grape) which I liked and a good Port as well. Brought back some good memories of wine tasting parties in Vermont and of my friend Mimi with whom I drink port out of a flask when we go camping. This was a bit more sophisticated, but not much! I also tried ostrich for the first time in the form of a burger with feta cheese. Tasted a bit like lamb. I liked it! Unfortunately I have no pics of this silly looking animal. 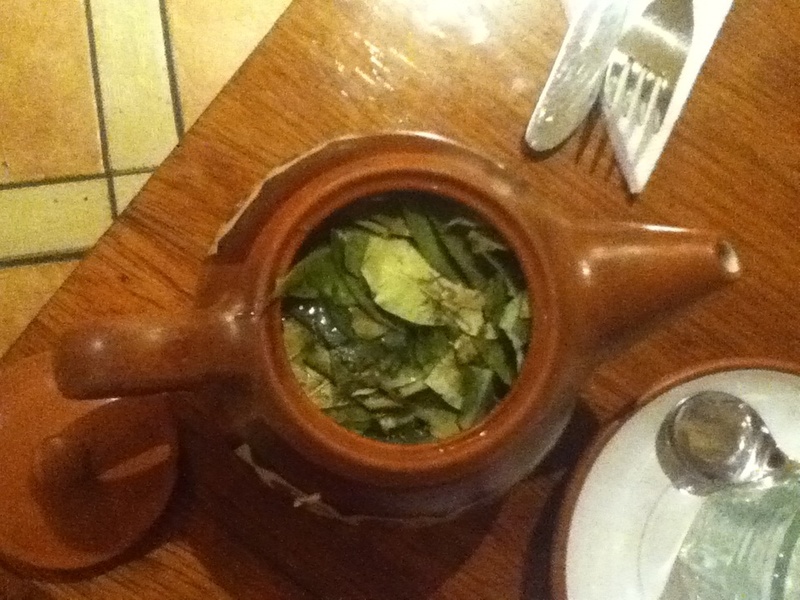 Every morning along the Inca Trail we were awoken at 5:30am to coca tea, as it is used to help adjust to the altitude. I enjoyed this tea probably 3 times a day, if not more, along with chewing the leaves (as the porters do) and eating some candies along the way as well. Super delicious. I’ve decided that anything with quinoa (this incredibly healthy and tasty grain common all over Peru) is delicious. Early one morning when I was a child I witnessed Licorice, my black and white pet guinea pig, give birth. This was the first birth I ever saw and I remember freaking out because I had no idea what was happening to Licorice who up to that point I thought was a boy! I tell you this because I haven’t thought about Licorice since that time in my life close to 30 years ago until now. This afternoon for one of our last lunches here in Atahualpa, our host mama, Marianita (although we like to call her Mama), who is just this amazingly lovely woman who I have grown to adore, fried up a guinea pig for us with some boiled potatoes. 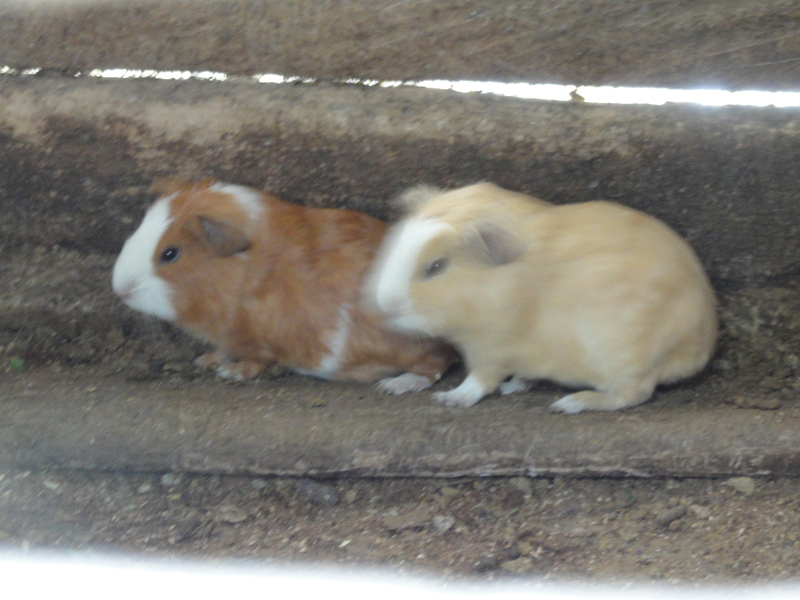 They raise about 60 guinea pigs in wooden cages in their back yard here to sell. 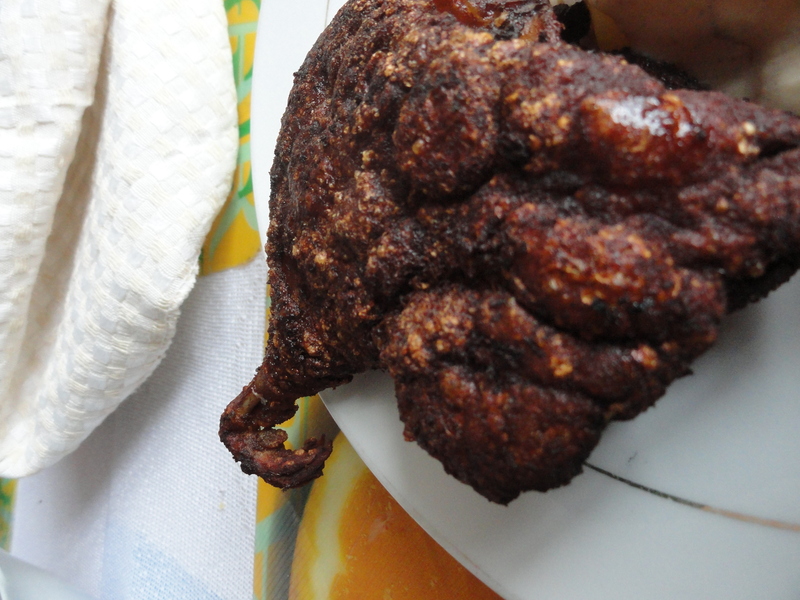 They indulge in this Ecuadorian delicacy about once a month, claiming the cuie (Spanish for guinea pig) is good for the mind. As for the taste: like chicken but with a lot less meat and more tiny bones! I have not had the opportunity to imbibe here in Ecuador, their traditional drink of fermented sugar cane or corn but thought you all might be curious. I’ve heard people chew on sugar cane and spit the juices that have gathered in their mouths into a pot left to ferment. I may have to come back to experience this, or maybe Mimi or Parker or Rachel (the friends who will be visiting Ecuador over the next few months, but oddly, not when I was here!) will have to report back to me. Every morning for breakfast we have fresh fruit juice. Some are familiar, orange and pineapple, others less so. 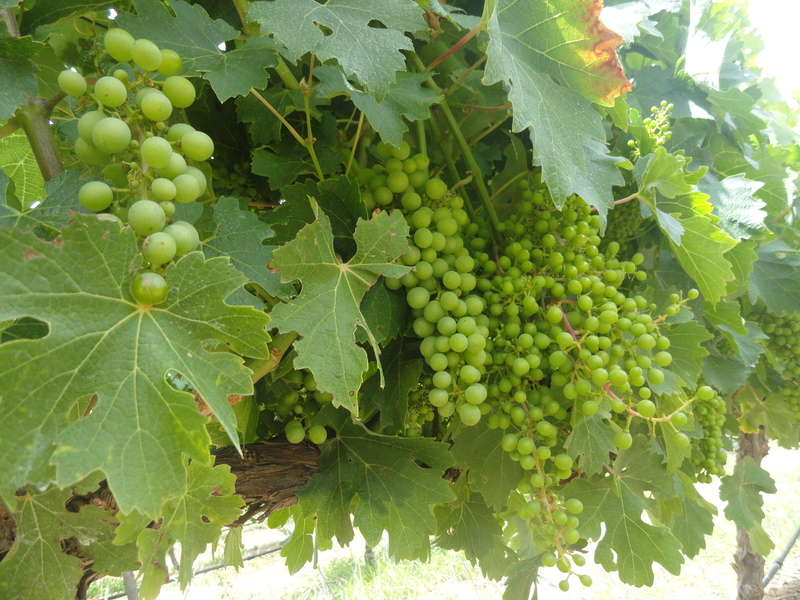 Here are some photos of the fruits I find here in the back yard of the guest house where I’m staying. While in Costa Rica we were only able to have THE traditional Costa Rican breakfast once. We happened to be visiting Costa Rica during the rainy season, much slower in terms of tourism, so the hotel kitchen was on a month long break. We were able to use the kitchen to store cereal, yogurt and eggs to make our own way each morning. Kayce, one of the program leaders who happened to live in Costa Rica for a while, kindly decided to make the group gallo pinto on one of our last mornings there, with a little bit of my help. Fry up some onions and red pepper, add cooked rice and beans, cilantro and cook until rice is a bit crunchy. Add some scrambled eggs, salsa and fried plantains and you’ve got a mouth of happiness. Beverage of Choice: No shortage of fresh tropical fruit here so we treated ourselves to some great juices made with pina or watermelon or guanabana or mango or papaya. Most definitely not in VT anymore my friends. As much as I miss the maple, these are some seriously good replacements. And of course, there is coffee. Per request of Sylvia Fagin – dear friend, educator, world traveler, food writer and farm advocate – I hope to document the typical breakfasts I encounter in each of the countries I visit. Along with breakfast, my friend Rick, who has opened me up to the many worlds of wine through his epic wine tastings, requests I document all the interesting beverages I find along the way. So check back here on a regular basis if either pique your curiosity. So to begin…in the place that holds my heart, Vermont. Breakfast in Vermont: Thankfully Kismet has reopened after Irene with a delicious plate of Portuguese baked eggs. Think tomatoes, olives, peppers in sauce with poached eggs baked in the oven with three kinds of cheese. Yup. Beverage of choice: Thank you Three Penny Taproom and Hill Farmstead Brewery for a constant supply of the Edward (an American Pale Ale) – possibly the best beer I’ve ever drank. 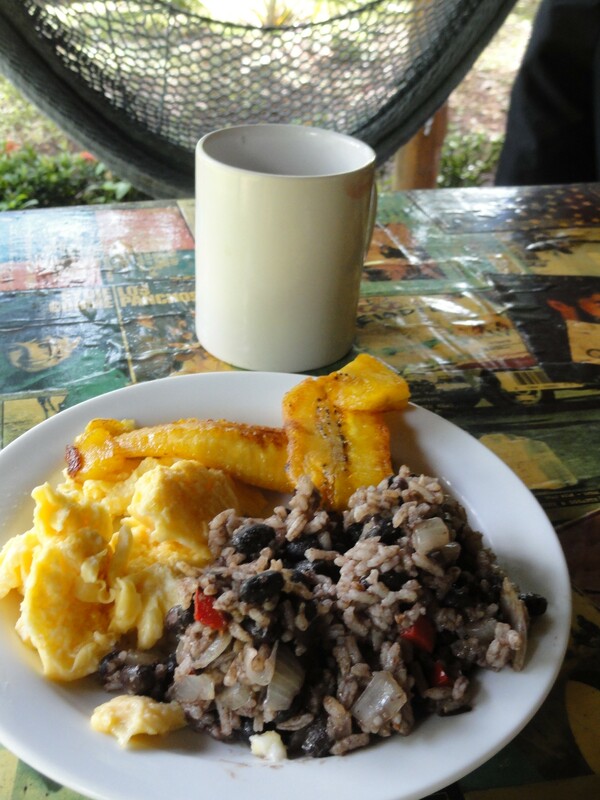 oh, how i long for some gallo pinto… thinking of you and sending lots of love your way!! I can’t believe you ate “Licorice”!! Heather made some cupcakes with quinoa flour last month. There are some things quinoa is NOT good for!